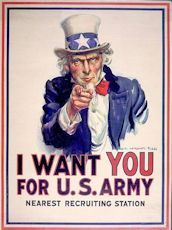 September 9, 1918 ... The Red Sox returned home to Fenway Park and copped a 3 to 2 victory from the Cubs. Babe Ruth started the game and had to leave in the ninth inning . An iodine tainted finger on his pitching hand, which was bruised from horseplay with Walt Kinney last night, bothered him constantly, causing the ball to shine or sail. He was forever on the brink of danger and in the ninth inning, it looked like he could lose the game. It was another good ballgame. It had all the thrills that were supplied by the battles waged in Chicago, but differed inasmuch as the run that gave the Sox the victory was the result of an error. Phil Douglas made a wild throw to Fred Merkle in the eighth inning, after fielding a bunt from Harry Hooper, permitting Wally Schang, who was on second base, to score the winning run. 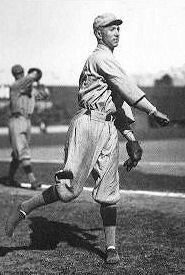 George "Lefty" Tyler pitched the first seven innings for the Cubs, holding the Sox to three hits, but one of those was a triple to center by the Babe in the fourth inning. The wallop went down against the bleachers in center field. The Cubs did not look like a championship team. Max Flack twice was trapped off first base, Sam Agnew sniping him in the first inning, while Ruth picked them off at second in the third inning. 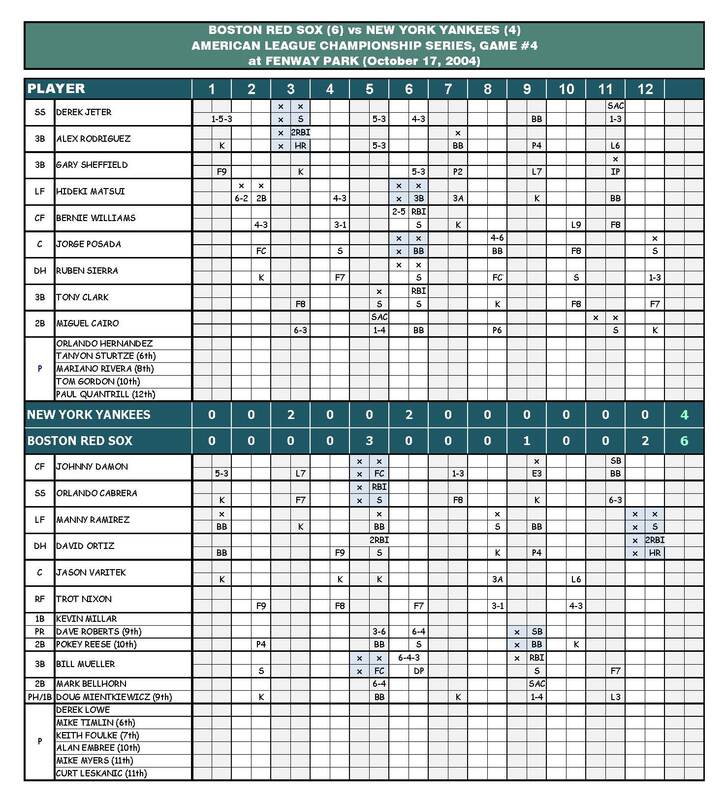 The National League Champions had many splendid scoring opportunities confronting them, but flopped on all except one. The center infielders for the Red Sox, Everett Scott and Dave Shean played sensationally today. 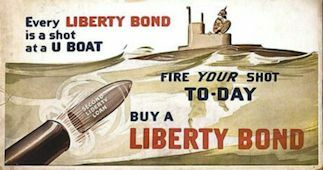 Scotty had eleven chances and was mixed up in three doubleplays. He was involved in some play in every inning except the sixth. In the fourth inning, he went over behind second base and made a stop, that cheated Dode Paskert out of a hit. In the fifth inning he was the pivot in the twin killing of Charlie Pick and Bill Killifer, and he was in two other doubleplays, one of these coming in the ninth, just after the Cubs had got on the Babe. This last doubleplay closed the game sealed the Red Sox victory. 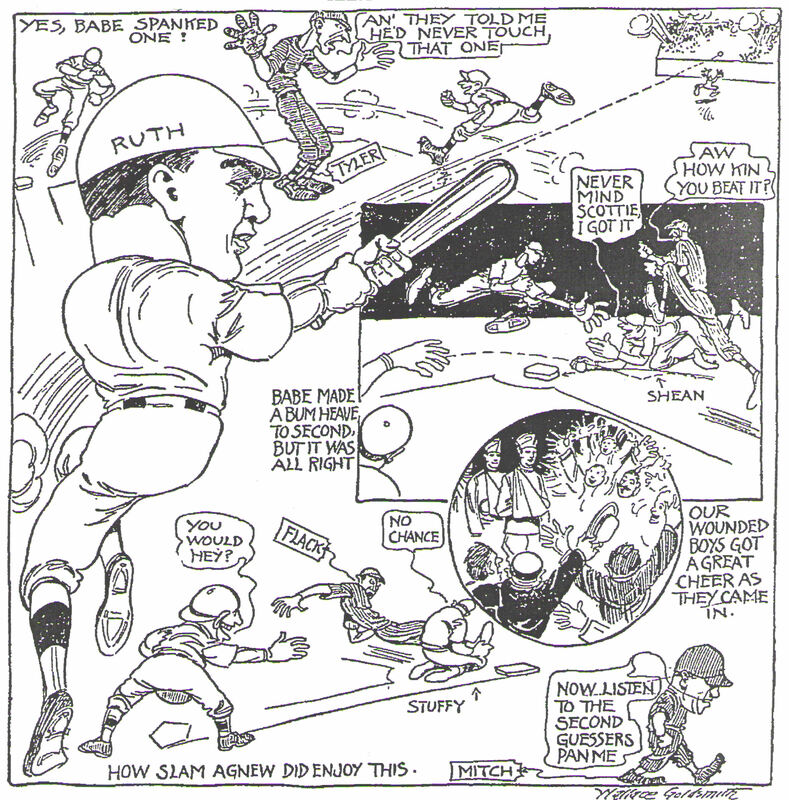 Dave Shean's play in the sixth saved Babe. Lefty Tyler had walked and when Flack hit the ball back to Babe, he tossed it badly to second base and the ball got away from Scotty. But Shean stopped it and in order to get the runner, he had to dive to the sack, just making it and standing a big chance of being injured. While Stuffy McInnis played steady throughout the game, his masterpiece was put on in the ninth. The Cubs had men on first and second and no out. Figuring that Chuck Wortman was going to lay down a bunt, Stuffy snuck in toward the plate and was on top of the play when Wortman finally did what he expected. He picked up the ball, turned and shot across the diamond to third base to get the force play at third base. It was one of the best plays made it in the World Series so far. Babe surely should feel thankful for the support he received. He gave up seven hits and six passes and put a lot of men on base, but never did the men behind him falter. In every inning except the fourth, he had somebody on base, but he was also mixed up some good plays. The crowd did not come up to expectations. While there was no material evidence of the presence of "Tessie" she must have been there in spirit. It is the first time that any Red Sox club has been in a World Series that "Tessie" has not been heard. Both clubs had men on base in the opening inning. Flack singled but was picked off by Agnew at first, while Shean, who doubled with one out in the Sox half, was marooned because he could not get any help. Pick and Deal singled in the Cubs second after two were out. Then Scotty went back for Killifer's grounder and made a spark played third, forcing Pick. All of Tyler's troubles occurred in the fourth inning, when he opened by passing Shean. Tyler then threw one by his catcher Killifer and as he was retrieving the passed ball Shean swiped second base. Whiteman was walked but Shean was pegged out going into third base. Then the Babe kicked in with his triple and would have taken the full journey except that Tyler was alert in backing up third, when Pick's relay throw went by the bag with Babe standing there. In the eighth inning the Cubs broke out of their slump. Killifer walked and pinch hitter Claude Hendrix drove a single to center. Ruth's wild pitch moved them both up a notch. As Flack grounded out to McInnis, a swell chance was lost to nail Hendrix at second, because he over ran the bag. He was taken out of the game for a pinch runner before there was any chance for him to do any damage. Hollocher's grounder past Shean drove in Killifer and Bill McCabe, the pinch runner, scored when Mann slapped a single to left. Manager Barrow sent Wally Schang up to hit against Douglas in the eighth inning, and he singled to center, going to second on a passed ball. Harry Hooper then bunted and Douglas grabbed the ball but threw it into right field, allowing Schang to score from second, and Hooper to advance there in his place. Fred Merkle's single and a pass finished Babe's day in the ninth inning. Stuffy, then made his slick play on Wortman's bunt to force Merkle at third and the game ended with Turner Barber whacking into a double play. Ex manager of the Red Sox, Jack Barry and his wife were at the game. Dutch Leonard sat on the Red Sox bench for a while also to watch. Both Joe Bush and Carl Mays took batting practice before the game, and when Babe was getting generous in the ninth inning, Bush was sent in to replace him and Mays went down to the bullpen to warm-up, just in case. Everything was peaceful. 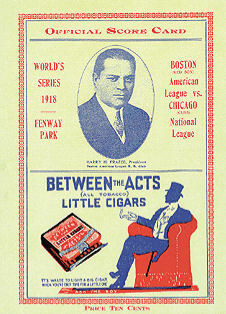 None of the players made any wisecracks to each other as Ban Johnson and August Herrmann sat in a box near the Cubs dugout. Former owner, Joe Lannin had a tough time getting to his seat because so many fans kept stopping him and wanting to shake his hand.